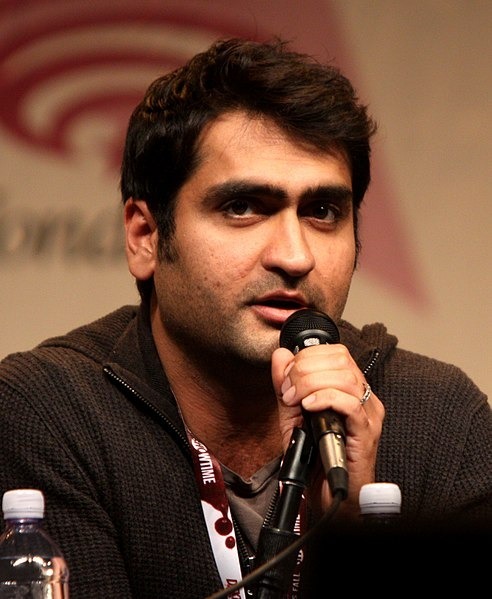 Kumail Nanjiani (born February 21, 1978) is a Pakistani-American stand-up comedian, actor, writer, and podcast host. Nanjiani is best known for being a main cast member on HBO's Emmy Award-nominated series Silicon Valley, as well as for providing the voice of Prismo on the Emmy Award-winning animated series Adventure Time. He starred on the TNT series Franklin & Bash and the Adult Swim series Newsreaders. Nanjiani also co-hosted the Comedy Central show The Meltdown with Jonah and Kumail. In addition to his television and film work, he hosted two podcasts: The Indoor Kids and The X-Files Files. Read more on Wikipedia.